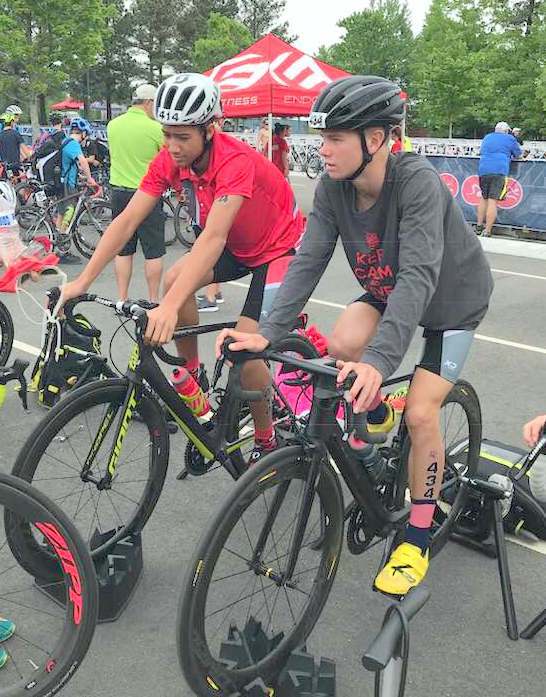 Nicholas Pilgrim and Caleb Ingham competed in the USAT Youth Elite/Junior Elite Cup 2018 East Coast Triathlon Festival in Richmond Virginia. Both competed in the Youth Elite Male Division, Pilgrim finished 4th clocking an overall time of 29:55.2, while Ingham finished 23rd stopping the clock in 32:06.1. Pilgrim completed the 375m Swim course in a time of 4:53.4, he would clock a time of 14:33.0 over the 10k Bike distance, before completing the 2.5k Run course in a time of 8:57.9. Ingham completed the Swim in a time of 4:51.4, he then clocked a time of 15:21.1 on the Bike Course and 10:14.5 on the Run Course.